Representatives of the scientific center for study of the Arctic are working at the International conference “Solving the Puzzles from Cryosphere”. It was opened in Pushchino, Moscow region on the 15th of April. Permafrost researchers from Russia and other countries are discussing the results of research in the sphere of geocryology, paleo-ecology, geophysics, study of behavior of greenhouse gases in degradation of permafrost and other scientific issues. The director of the scientific center for study of the Arctic, candidate of geological-mineralogical sciences Anton Sinitskiy and a senior researcher, candidate of physics-mathematical sciences Yaroslav Kamnev are participating in the conference from Yamal. The scientists of Yamal are presenting long-term scientific work of the center: study of transformation of cryolithozone under influence of climate changes and anthropogenic load at the Parisento area on the Gydan Peninsula, creation of the integrated system of automated geotechnical monitoring in Salekhard. In addition, they will tell about monitoring of depth of the seasonally thawed layer at the site of CALM program and glaciers of the Polar Urals. This information was given to the news agency “Sever-Press” in the scientific center for study of the Arctic. According to Anton Sinitskiy, all the studies are in the active stage of fulfillment. The presentation of the projects to the world community of permafrost researchers will allow exchanging experience, getting feedback in the form of constructive criticism and ideas for further effective work. The scientific center for study of the Arctic has conducted researches of transformation of cryolithozone under influence of climate changes and anthropogenic load at the Parisento area on the Gydan Peninsula since 2016. During the field season of last year the scientists managed to drill six permafrost-parametric wells with the depth 10 meters, where temperature sensors were installed. The first results of the measurement showed that for 30 years the temperature of permafrost soils had increased by 2-3 degrees. The site for study of the seasonal thawed layer within the International program on the Circumpolar Active Layer Monitoring (CALM program) was laid on the area of the settlement Kharp in 2016. Pupils of the association “Young physicist” of the center for children and youth in the town Salekhard participated together with the scientists of Yamal in annual researches. 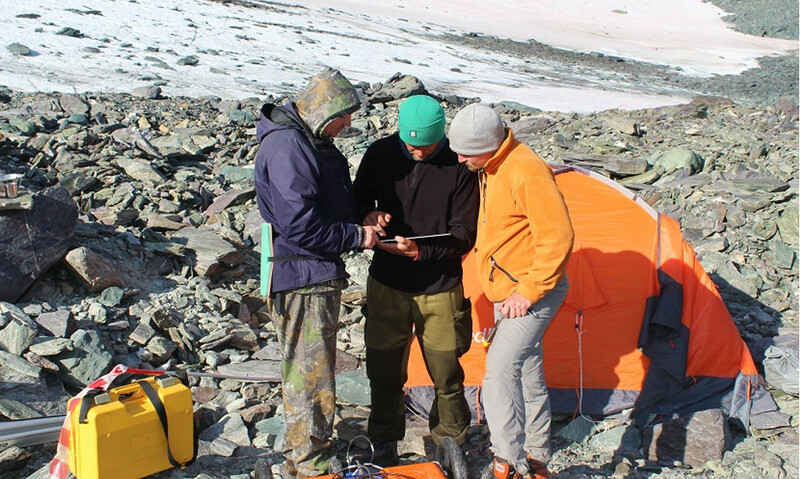 Two glaciological expeditions to the largest glacier in the Polar Urals — IGAN — were held in 2017 and 2018. The scientists of the scientific center for study of the Arctic and Lomonosov Moscow State University participated in the research. The next expedition will take place during the field season of this year. The researchers plan to build the long-term chain of observations over glaciers rapidly changing under influence of climate change. The project of creation of the integrated system of automated geotechnical monitoring in Salekhard is aimed at improvement of quality of geotechnical control over buildings under construction and operation. The network of thermometric wells is being created within the research work in the regional capital to monitor state of cryolithozone with automated data collection and transfer them via GSM communication to the server. The incoming information is reflected on the map of the town in the Internet in real time.